Together we will continue with her mission, her legacy lives on through all of us and she will keep inspiring us with her strong warrior spirit. Her passion for life, love, hope and magic is a never ending story. Hi, I am Little Belle! I love to inspire people by sharing how I perceive and experience life. Although I have no visual sight, I can still see feelingly, enjoy life and have a good quality of life. I will give you an insight into my world by telling you about my adventures, my thoughts and feelings. Especially about the magic of life! I have lived in the Netherlands since 2011. Here I’m part in a beautiful family, where I enjoy life to the full. My life began in Portugal where I was born in 1999. For almost 12 years I lived in a puppy mill, I’ve had a lot of puppies and my ‘home’ was a cage. Here you can read the rest of my story. Do you know what Little Belle literally means? Little Beautiful. 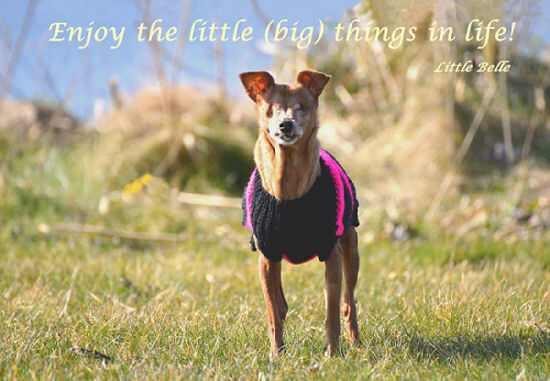 Besides being little and of course beautiful, my site is also about the ‘beautiful little’ things in life. From February 2015 I have had my own Facebook page where I share with all my friends how I enjoy all the beautiful little things in my life and with each other as a family. 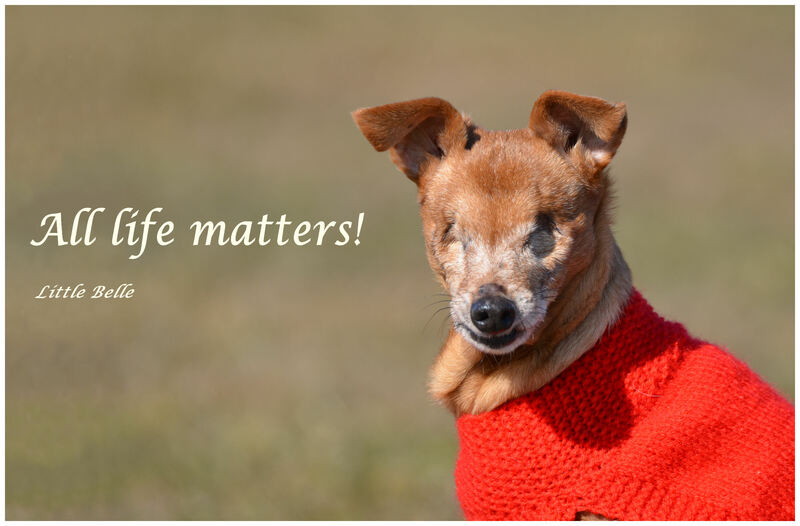 How beautiful is it that by sharing my adventures, my life, I inspire many people not only to look differently at dogs who are differently abled, but also to life itself. People say that with my loving and shining spirit, I touch their hearts and bring joy to many lives. I wish you happy reading and lots of magical inspiration!